Washington Gov. Jay Inslee has a well-worn set of speaking points when it comes to his 2020 presidential campaign: clean energy, clean jobs, a clean economy that works for everyone, and ending fossil fuel subsidies. Inslee calls these goals the four pillars of his climate change agenda. As of last week, he’s added a fifth: gutting the filibuster. Prenters Broughton was always getting into trouble as a kid. So, his older sister came up with a nickname for him. Carolina Landa’s 12-year-old son has a new obsession: an old Scooby-Doo movie. It’s part of Zach’s life with autism. He fixates on certain objects — a movie, sometimes food, anything he needs to feel safe — but has difficulty communicating since he’s also nonverbal. The handling of sexual harassment in the state Legislature will evolve following a new code of conduct that has already passed one chamber. The unanimous resolution was passed in the House, and it’s the first bill of the 2019 legislative session to change the chamber’s workplace culture in the wake of the #MeToo movement. 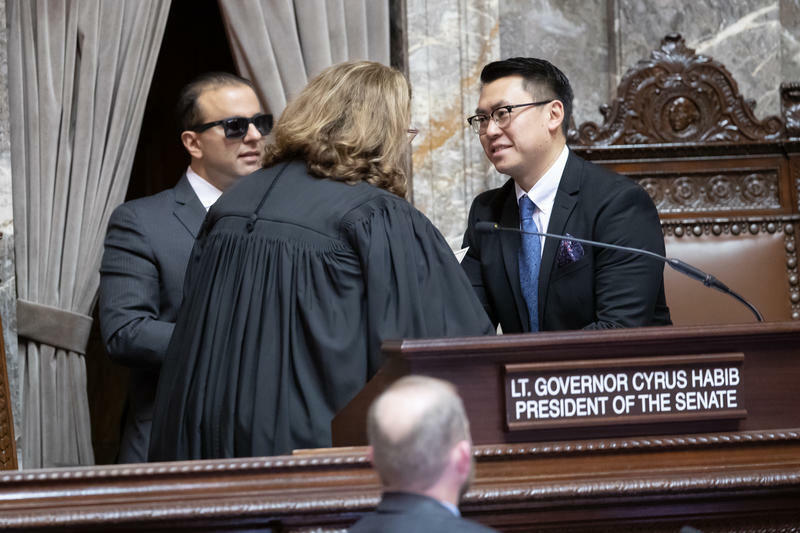 OLYMPIA — Joe Nguyen doesn’t look like your typical lawmaker. He’s the first Vietnamese member in the state Senate. And at 35, he’s one of the youngest. “People are realizing that I’m a senator and not a staffer,” Nguyen said. But, he added, people do sometimes ask "who do you work for?"